The label offers a large choice of models: animal, classic, unicorn. You can even create your own one! It helps the little ones to walk. Baba has never done so much exercise at home since having one… Maybe Frenchie Mummy should get one? It’s sturdy and holds a lot. You even have some Teddy bear seatbelts, c’est trop adorable! Your enfant can pull it along or jump on it and you do the rest! How fun! Don’t ask me why kids are obsessed with it. Well, Baba is! So you save up money! It means fewer bags to carry for you! So, are you falling in love with it? I am! As long as it means less work for me! Parents always have so much to pack away and carry… So a little help from Baba is more than welcome! Hold on, we have more reasons why we love our Trunki! Hold on! We have more for you! While the kids hold it, it makes them do sport, oui oui! You can pack it with snacks and drinks too! Nothing worse that un enfant hungry! The brand has some really fancy designs. 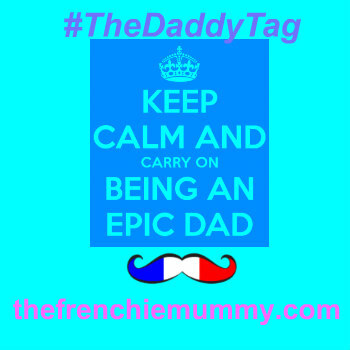 That’s it, I think I am going to order my own Frenchie Mummy Trunki! So here are 30 Reasons why 30 Reasons why we love our Trunki. So what are you waiting for? Order yours now here. Pas sûr? Look at all our Frenchie pics with Baba using it! Baba was very intrigued when our Trunki arrived! He was quick to test it! But then what?! No more toys on the floor to play with! So in love with this Trunki. You need one too! This giveaway starts on Monday 24th July at 5 pm and ends at midnight on Monday 21st August 2017 at midnight. The closing date is 11:59 pm on Monday 21st August 2017 at midnight. The winner must respond within 5 days of receiving the email to claim their prize. Provision of the prize is the responsibility of Trunki. Because they’re just so brilliant! Fun and practical. 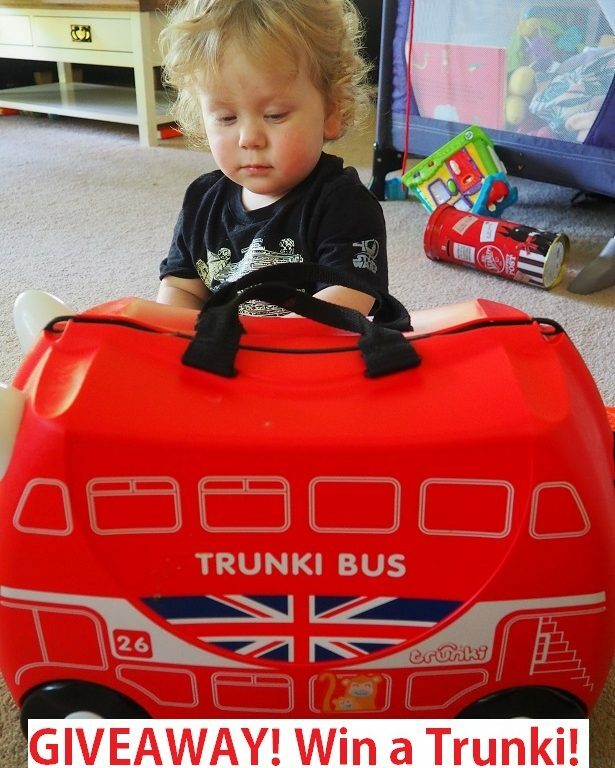 I really love trunki, it is an amazing case for little ones so they can pack their own little treasures and feel grown up like everyone around them. I would so love to win a trunki for my gorgeous great niece in South Africa. would love to win for my son due in a couple of weeks! I would love to win one for my daughter as it would encourage her to carry/wheel her own hand luggage when we go on holiday! I would love to win a Trunki for our nephew, so he can come and visit us more. This would be perfect for my little man to take to respite ? I would love to win as we are planning on plenty of UK short break. My daughter would love this and would come in handy for us! Anything which entertains baby boy when travelling is a must! As we saw loads in the airport when we were going and coming back from holiday and they look fantastic! I would like to win one for my son who would probably fill it with teddies! 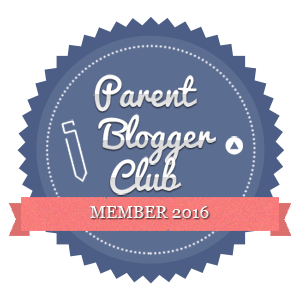 I would love to win one for my toddler, who is going on his first holiday soon! 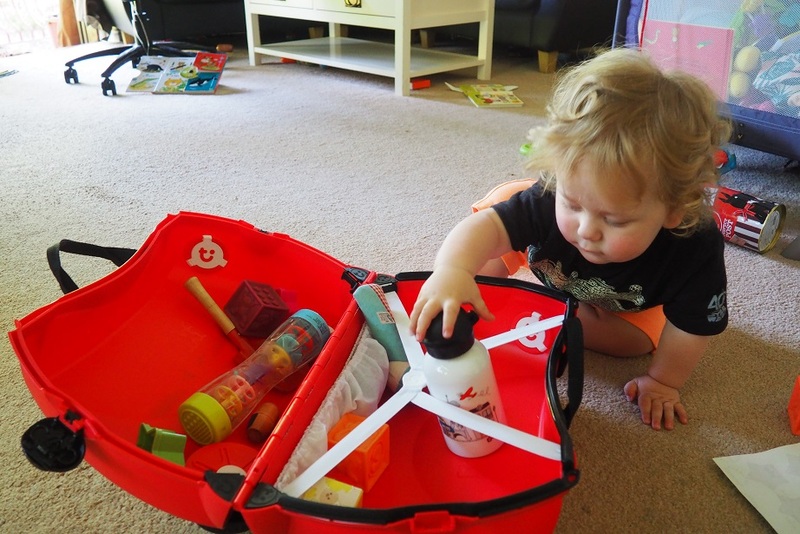 I would love to win a trunki so my children have a little something special to pack for when we go on holiday. 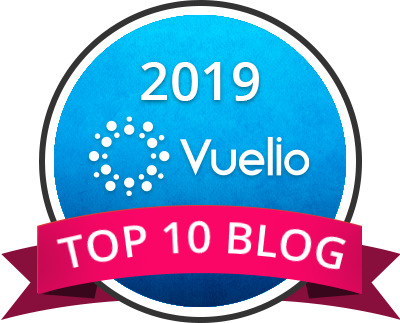 We would love to take them away more often 🙂 in a few weeks we’re off to Peppa Pig world and a few fun places which we’re all really excited about! Would love this for my daughter, perfects for our travels to Orlando. Whilst trying to entertain my daughter waiting for an incredibly delayed flight home from holiday, I found myself wishing I’d had a Trunki! I’d love to win a Trunki for my 2 year old son to take on our holiday to Haven in October. He’d especially love this bus one as they are his favourite thing at the moment! We’re going to visit family at the end of the year, and my little boy would love one of these to travel with. as a bus driver would love to win this so my son Harrison could ride it round the airport pretending to be daddy! For my nephew to take on his first holiday later this year. I love all the different designs and it’s sure to get the children excited about going on holiday. Trunki seems like a great product for children. A suitcase which a child can manage ( assistance if or when required, just as we do to allow child to develop independence). It is the child’s and they know it, a practical suitcase as well as companion for the journey. Keeping them occupied by being alongside them, and allowing the child to sit and rest where and when required. A real asset for the child and family. I would just love to have one in our family. Super cute giveaway! I would love to win this trunki for my daughter Heidi, we were recently in John Lewis and she was admiring them 🙂 very nice for our holidays. i would love to win one for my daughter, they look so much fun, as well as its very handy. I would love to win a Trunki for my niece for when she goes on holiday! They look really cool and I like that the kids can sit on them whilst we pull them along! They’re such a good idea for kids! They look so amazing and my kids would love playing and riding on it! It would be perfect for the kids when we go on our family holiday. I would love to win this because my daughter would really enjoy using it on holiday. We are going on a few short breaks this summer and I would love my daughter to have her own suitcase which is fun for her to pull and bring her own stuff in. I would love to win this for my youngest niece’s holidays. I’d love one because my son has a bag for holiday and my three year old daughter has just realised she doesn’t – this would save the arguing and make packing more enjoyable for all! Not to mention they are awesome suitcases! I would love to win this because I want to take my son on his first summer holiday next year and I think he would just love this! I’d like to win this for my niece, as she’s going away on a special holiday to France! I would give it to my grandson, what child would not want to have such a brilliant suitcase for holidays and store for moving toys about. By the time I discovered these, my children were a bit too old. I now have a grand-daughter and would love for her to have one. They are very practical, and lots of fun. My little boy would love to win this, would make trips to the beach easier! I have my eye on one for my little nephew, he likes to organize everyone as it is, so I think his own cute suitcase would be right up his street! I would love to win a Trunk for my grandson to take on his holiday. My 2 year old daughter would love this, and it would be very useful for taking on holiday! My daughter would love to pack her own case just like mummy & daddy! I’d love to win this for my son who loves anything he can ride on – should make holidays much easier! My little grandaughter is two, and she absolutely loves the trunki cases, she would be delighted if i gave her one! Because they are so practical when travelling! I would love to win this for my daughter for when we go abroad next year so she can have her own hand luggage. Becasue it would be perfect for our hols! Because my niece is a London baby and she would love this! It would be perfect for my son. i would love 2 win this for my 2 year old grand daughter she loves buses as her daddy is a bus driver and i think it would make an amazing Christmas present for her. thank you for the chance at a great prize. 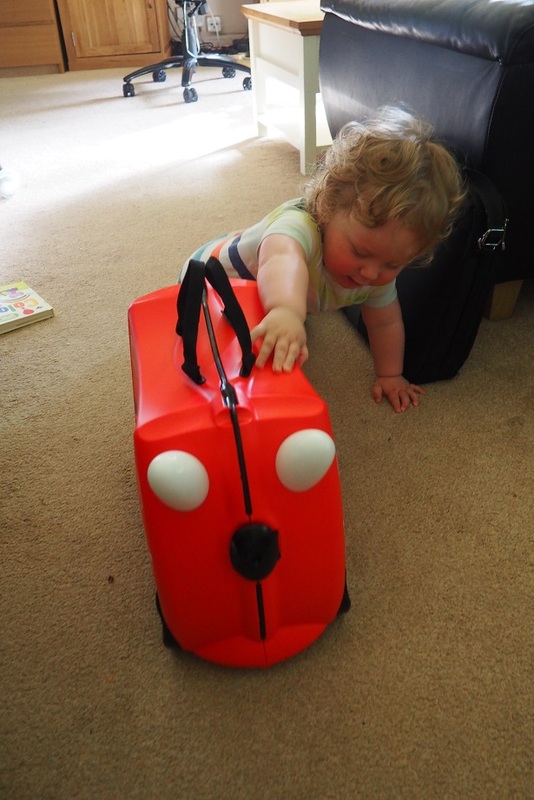 I would love to win a trunki for my little boy as his sister has got one and he has asked for one for the airport. It would help for when they go to nannas at the weekend! My grandson Teddy would love this for his trips to see his other Nana in Liverpool. My grandchildren would be keener to help with their packing if they had one of these! I would like to win a Trunki for my nephew when he’s a little older. I would live this Trunki for my granddaughter. Oh I love Trunki! I’ve been eyeing them up for a while! We are heading to Granny’s house for the August bank holiday and then we are off to Centre Parcs in September, so I’m thinking a trunk would be perfect for taking a few activities with us! I would love to win a Trunki as I am a designer so I’m always looking out for quirky design that inspires me. I also think being so bright and bold in design makes these luggage items much more appealing to kids! I’d love to win one of these for my daughter so that she can feel as though she is like her mummy and daddy when we go on holidays. To give to my cousin, whose little one is just old enough to start having their own case – They’d love this! 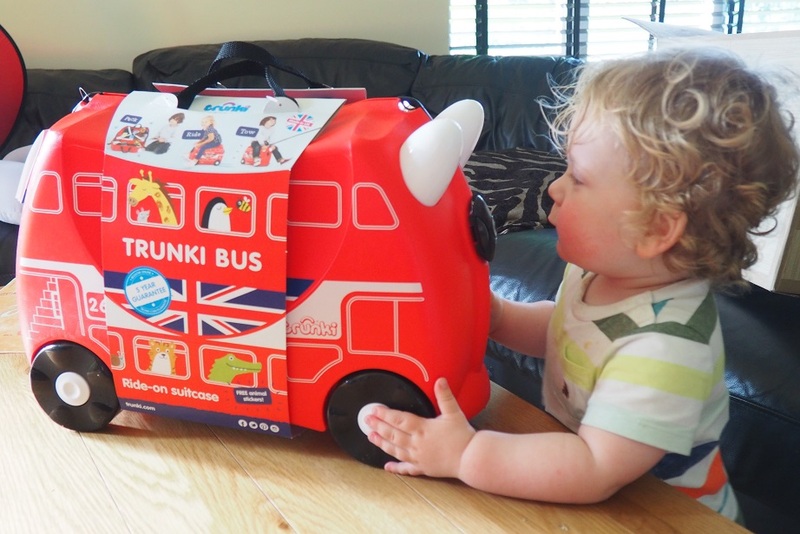 I’d love to win a Trunki for my son Oscar – he always sees them in the shops and loves them! 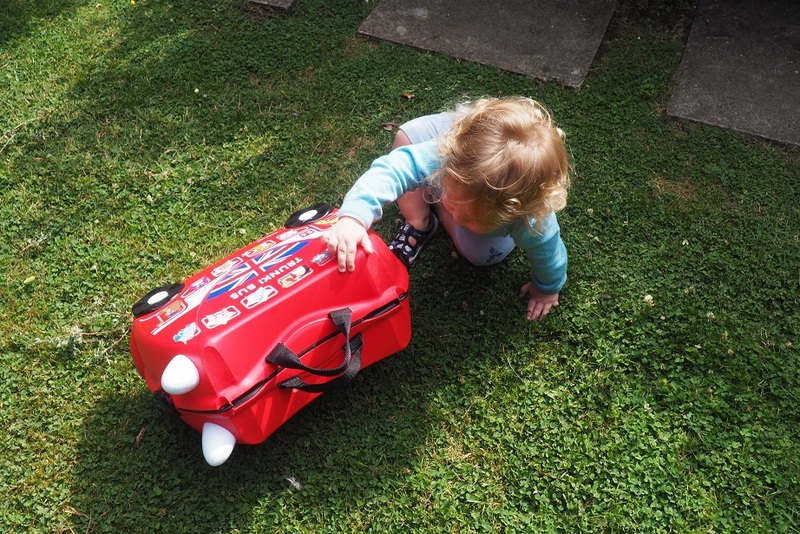 I would love to win a trunki for my son – I love the way they encourage children to be grown up and take their own suitcase of items on holiday ? I’d love to win for my son to put all his things in when we go on holiday. For my daughter, would be great for our family holiday! I would love to in this for y lovely Goddaughter! We woûld love this for travelling. It’s adorable – any little one would love this! I would love to win! My toddler is totally jealous of his brother’s Spider-Man wheel along case- this would even out the balance!! We have lots of little ones in the family and a trunki would be fabulous to keep them entertained as well as useful for packing things inside. Would love to win for my little boy, for our holiday, he would feel so grown up with his own little case. My daughter has always dreamed of owning her own Trunki as we travel a lot due to her dads work. And when we visits my parents on the train which is about 2 hours away. Thanks for such a great review , would be perfect for her to enjoy especially when waiting around at stations and airports! I would love to win a Trunki for my granddaughter to use when she comes down on the train to stay with me with her parents. It would be so nice for her to have her very own case. They look super-cute, and with our little one toddling about I think it would make travelling such fun for her! Emily already has a Trunki and loves it, so I would love to win one so that William can be just like her. My daughter has a pink Trunki and loves it, so I’d love to be able to give one to my Nephew so he can enjoy it just as much. Trunkis are the best suitcases ever invented. Who wouldn’t want one?! So very cute and practical. I’d love to win this as the children always ask to have their own suitcase so this would be great to keep a few of their things in. To carry a little one’s bridesmaid dress for our wedding as hand luggage. Would love tis for my Granddaughter. I would love to win a trunki for my daughter for our holiday in a few weeks! This is such a fun product and high quality! Our cases and bags are very dull, I would love my son to have a fun suitcase when we travel, he would love pushing himself along on it and the design is cute. I would love to win a Trunki because I think they are fantastic – so practical, so appealing and so much fun! I’d love to win this for when my daughters go for sleepovers at Granny’s house! 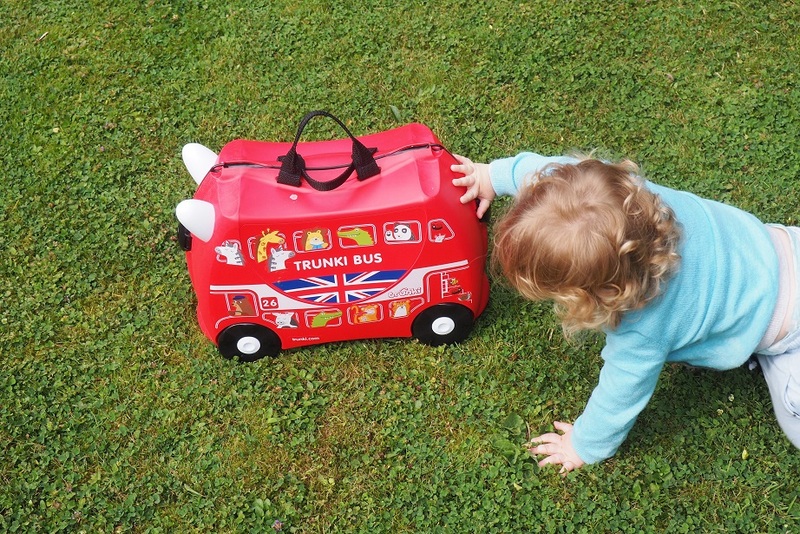 I’d love to win for my little girl as travelling is usually just a whole lot of waiting around which is no fun for little ones but having a a trunki would make the whole experience more enjoyable for everyone. My son would love one of these, would be the perfect size for sleepovers at the grandparents house. These look so fun and enjoyable. Forget the kids… I’ll use it myself. 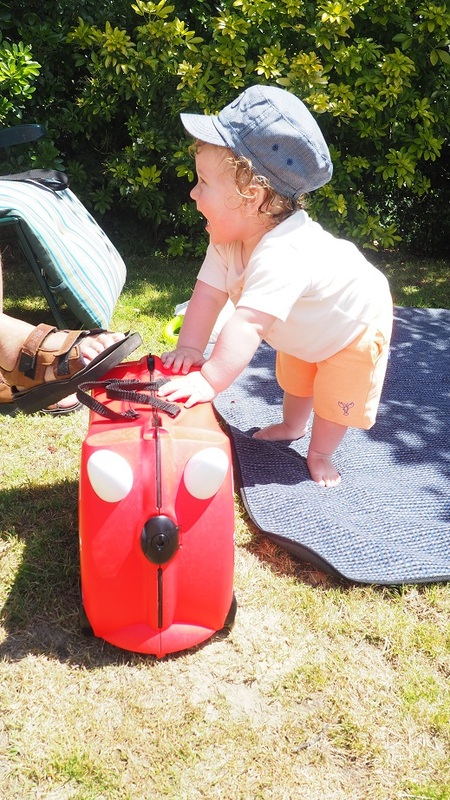 I would love to win this trunki as me, my son and my partner will be setting of to sunny Italy in July next year so I would love to bring something fun that will make it less overwhelming for my son who has never flown before. I would love to win this for my little granddaughter so that whenever she comes to stay with us she will have a fun case in which to pack her things! I’d love one for my Daughter to make the airport fun! We love the trunkis and need a replacement! I’d love to win this for my nephew Joseph! My wife has been looking for one, for ages for our son and daughter, so this would be a great surprise! 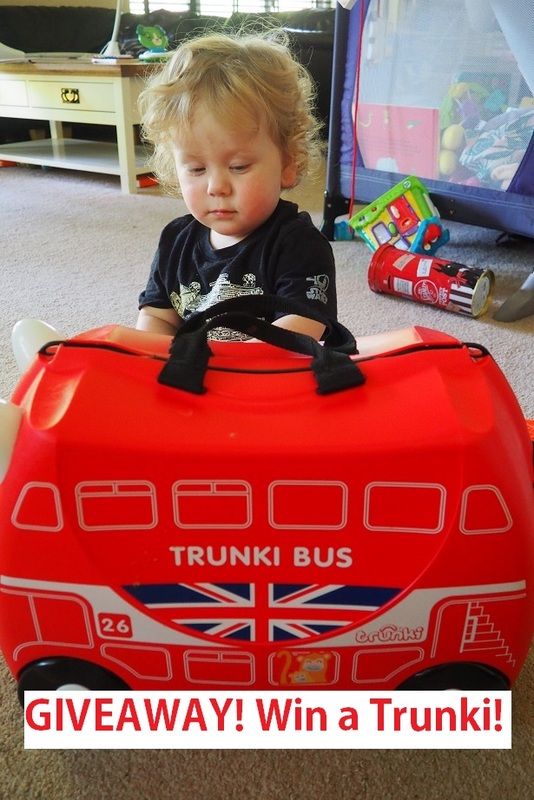 We love trunkis they are so much fun and would love to win one for my nephew so he has one too! we live 400 miles away from family , this would be ace to make my sons trips to visit my enjoyable ! We are going away om September and my little boy would love this. I would love to win a Trunki for our daughter for our very first holiday abroad later this year! My son has been asking for one of these for ages, so use for sleep overs at his nanna’s! They look super handy and fun for transporting all of ari’s bits and pieces. I would love to win for my little boy who is always asking me for his very own suit case!!! I would love to win a Trunki because I think they look amazing and I really want one…..I know I can’t keep it for myself, such a shame. My Son would absolutely love one too though. I would love to win because my daughter would actually enjoy packing if she had one of these. I would love to win one as they are so adorable . One of our girls has one, but not the other, I’d like them both to have their own. They are so cool and funky, perfect for the kid about town!! Love this London desing as we are always there visiting. I would love to win one because my little girl saw them in the shop ages ago and she has since been asking for one! A Trunki would be perfect for when my little granddaughter comes to visit. We borrowed one from a friend this year for holiday and it was great for putting all my daughter’s junk (I mean valuable possessions) in! Would be jsut perfect for my little grandson to put all his essentials for his journeys when he comes and visits me. I would love to win this for my best friends little girl. These are so handy yet practical too. Because they’re iconic and they double up as a suitcase and a toy! Our oldest child has a trunki and they’re great. We can’t currently afford one for our youngest child too so it would be amazing to win this so they could have one each. I would love to win this for my daughter. It would be perfect for trips away. I’d love to win one of these for my nephew who would adore it! Because my sons both love them! Next Next post: 13 ways to get some money when you urgently need it!